This post (and the next few) is a direct copy/paste of an assignment in the CTE Core course I'm currently enrolled in with the Orange County Department of Education. This particular piece is a response to four separate questions. I’m in a unique position to help students be career-ready. 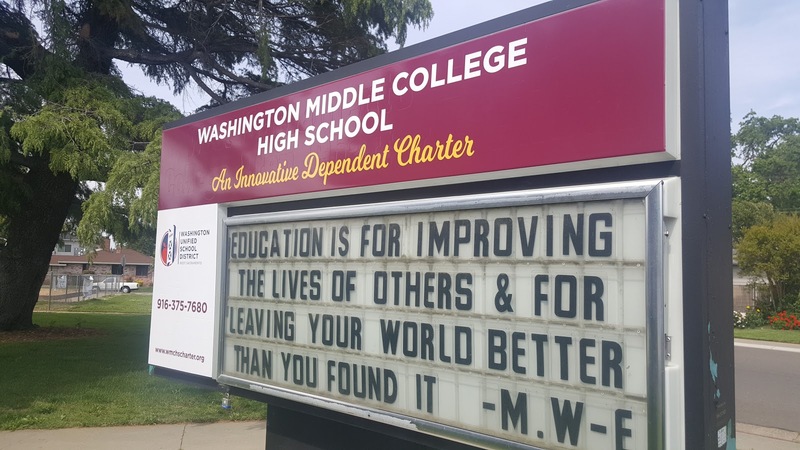 As the Principal of a newly re-chartered Middle College High School, I’m responsible for ensuring the maintenance of a vision that each of our students starts in ninth grade with a plan for earning an AA or AS degree when they graduate from high school. Our partner in this effort, Sacramento City College, has several CTE pathways to Associate's degrees that we will incorporate with our core classes to allow students to be prepared and qualified simultaneously. This assumption that students need career training along with general education instruction, with its roots in 100-year-old federal assistance, is driving the current focus on funding and pathways in CTE subjects. The first legislation earmarking funding for vocational training - the Smith-Hughes Act of 1917 - was crucial to the development of what we now know as CTE. This established the importance of practical knowledge alongside scholarly study. The idea that education exists to prepare students for career and college owes its existence to this legislation. Over time, not only has the legislation evolved as industry sectors change, but outcomes and standards have been established and revised to help ensure quality instruction that is relevant to current industry needs. These Anchor Standards address up-to-date needs like career planning, communication, and technology. The greatest effect that technology growth has had on my particular work in CTE instruction deals directly with Anchor Standard 4, the Technology Writing Standard. With the advent of popular cloud services, students are able to publish drafts of scripts and receive feedback not only from other students, but from industry professionals as well. This allows for much more relevant and immediate feedback during every stage of the writing process, not just a post-mortem after an essay or screenplay is written. There are even platforms like ConnectEd Studios that allow for industry partners around the globe to critique student work in a safe, teacher-managed online environment. One strategy that could help develop world-class students is to ensure that young learners actually work in the global environment. With the Common Core focus on students’ need to produce and publish, it’s easy to take student work and move it to the world “stage.” From collaborating with students and professionals from other countries to using research sources from other cultures, technology allows us to create what has been called the Flat Classroom. Students can be part of the global economy and conversation before they leave the educational structure of our schools where they have the support, guidance, and encouragement of trained educators. Google for Education Innovation Academy: Why Apply? I wrote this a couple of years ago, but never got around to publishing it. Since the newly re-titled Google for Education Innovation Academy is accepting applications again, I felt it might be useful. Generally, I don't journal. I understand its value, but I find that I never have time to write. 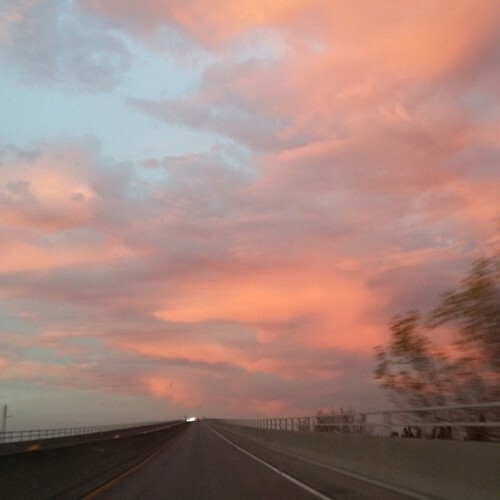 For a while there I was doing an audio journal called Hamlet's Head, and I'll record one once in a while since I have two hours in the car to think and reflect (Each way. Don't ask.). The way SoundCloud works, I should be able to separate tech musings from theatre musings from just "uh-musings." 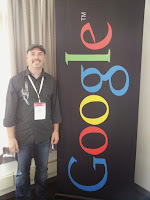 That said, I feel the pressure (mostly self-imposed and however tardy) to write a reflection about my actual Google Teacher Academy experience. If you haven't read about my application experience, it might be worth a couple minutes before you finish this post. What really prompted this post was a great question by my friend and colleague, +Kristen Morey: "Why is it worth my time?" So I'm looking back at two of the most intellectually stimulating days of my life through that lens. Here's why it was worth my time. So the first thing is acceptance into the Academy. We all know that educator recognition is hard to come by, so to be selected to be part of a small, world-wide group of education experts by a cutting edge corporation whose moves in the education space are edgy and impressive feels really good. 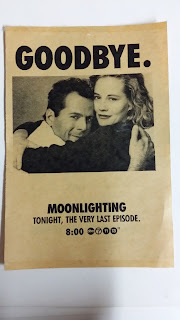 I don't think I particularly need regular validation (said the actor), but those first few hours after getting the email (thanks again +Alice Keeler for the heads-up on the spam folder) certainly were some of the most bubbly I've enjoyed in a while. I made the joke to my principal that in the edtech world "right now this is a huge deal... in ten years it might not be, but right now it is." According to the folks at CUE and Google, the things that I'm doing are worth recognizing. When's the last time you had professional development like that? The craziest part of this whole experience is that it is much like that of putting on a play: you get extremely close extremely fast with a small group of people with a common goal. On the day you're accepted, you instantly become a member of a new family: your cohort. Before we even got to Chicago, we had created a Google+ Community, Twitter List, YouTube playlist of our application videos, collaborative notes, flash cards of our names and faces, a 4-part blog post introducing our backgrounds, a map of our locations, and a mobile app to collect it all in one place. I don't know about previous cohorts, but this seemed like the beginning of something unique. We were told twice that this was the toughest cohort to get into (the qualifying application score had never been as high), and it became obvious quickly that this group was one we were all humbled and excited to be a part of. The two days of the actual conference were not mind-blowing in terms of going 0-60 in mere seconds; it was more like going 120 for two straight days. Idea after idea after question after hope after tool after project after giggle after coffee after tour after idea after idea, all you could do was absorb-contribute-absorb. There was no stopping. For three days afterwards I literally had Google Apps for Education dreams. Dreams about improving the lives of others alongside a team of other people who I'm sure were having the same dreams. You just don't get that in regular PD. One of the pieces of the Academy process is the Action Plan. Each participant is encouraged to create and implement a project over the following year and submit regular reflections on the experience. Here's mine (it's changed 5 times in the last two weeks, so who knows...). For the first 30 hours or so of the two days, I felt like I had to take everything I was learning from everyone and create something amazing. And then it hit me: each of us had our own areas of expertise and while integrating new tools & ideas would be great, we could focus on what we did best because the other people in the cohort would pick up your slack and produce amazing things in their realm of experience. We don't have to do it all if we're all doing it. What's the "it?" Changing the world. 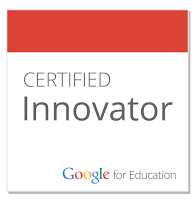 The Google Certified Teacher motto is "Innovate. Inspire. Lead. Change the World." Okay. Check, check, check, .... holy crap. In the eighteen years I've been teaching, I think the collective total of "professional development" days I've participated in have asked me to produce one slide show, two documents, a spaghetti & marshmallow tower, and a handful of notes. Being responsible for product is a rare thing. To be asked to honestly do something as ludicrous and necessary as "change the world..." well that raises the stakes a little. In the end, I'm now on a mission. I have a responsibility. Sure it's another one. Sure it's pie-in-the-sky. But it makes it SO MUCH EASIER to do the tiny, repetitive, mind-numbing things and to put up with the huge, dark, terrible realities that we all have to deal with in public education. Maybe we don't all need that. Probably we don't all want that. I'm not sure if it's worth your time, but it was worth mine. Go download the YouTube Gaming app now. Not because you're a gamer (Your students are). Not because you like watching live streams of video game tournaments (Your students do). Not because you want to know how to find that last collectible in Uncharted 3 (Your students did). 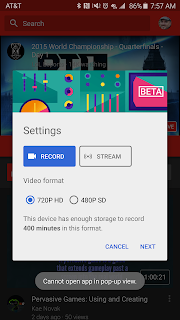 Because you can now easily screencast from any Android device running Android 4.1 and up. That's right. Screencast from your phone. Or tablet. Without paying or rooting. How many of you teach your students to set up a binder or notebook a certain way? Use a calendar? Have under-used online resources for students and parents? 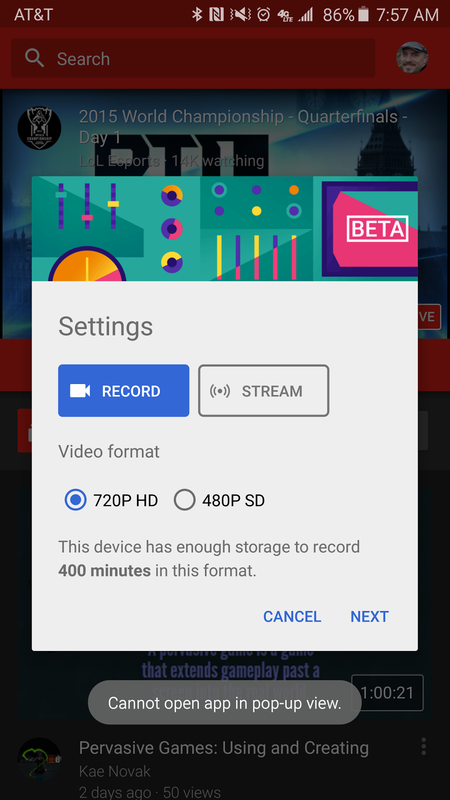 With YouTube Gaming you can stream or record anything on your device and easily upload to your YouTube Channel. Here's a quick video demo. Let me know what you're teaching with this awesome new tool. I'm off to record a demo of one of my favorite lessons for students: How to Set the Alarm on Your Phone. Here’s the news story on the perfect send-off for my former teacher and colleague. It’s been a pleasure to learn from and teach with him. Grab a tissue. Great point about at least 2:1.